International PhysicsLook to the SkiesLinking BackSun GazingSpreading the Physics! There is no doubt that some truly unbelievable things exist beyond our universe. Space, however, is so vast that we have experienced only a fraction of everything that exists out there. Everyday astronomers are trying to learn more and more about what exists beyond Earth. The NDQC Astro group is also trying to learn more about the mysteries of space. The students and teachers are using the amenities of the Jordan Hall of Science Observatory to do that. Focusing primarily on observing specific stars, the students are able to learn things like how to calibrate a research-grade telescope to make it do what is needed. 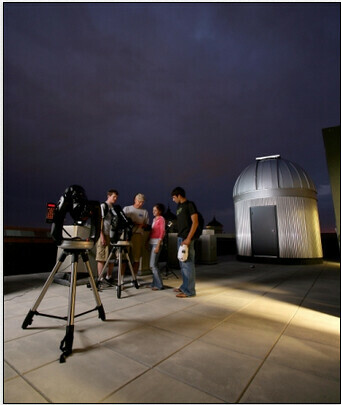 Students also learn a lot about individual stars such as Arcturus or Vega. I was given the privilege to go with them on one of their observations last week and in a short couple of hours I learned a lot about the night sky that I did not know before. Looking toward the future of our lives, it looks clear that technology will be a key part. Seemingly at the heart of all technology comes social networking sites like Twitter, Facebook, and LinkedIn. The importance of social networking continues to grow every day and the NDQC knows that. For the past few weeks, I have been working on a small project attempting to try and reconnect with past QuarkNet participants to see where they are now. Currently, I am doing that by means of LinkedIn. Dubbed the “Professional Networking Site” by many, LinkedIn can do a number of things for the businessman. 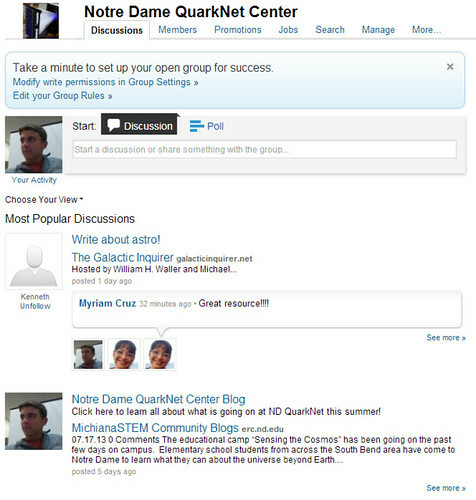 For my purposes at QuarkNet, however, the use of the group feature worked best. I wanted to create a group for the NDQC where past and present participants could post anything of interest that they might be doing in their professional life or student life. I personally connected with as many past QuarkNet participants I could find and then added them to my group. Connecting with the past is important because QuarkNet would like to be able to see how the past students are doing after their experiences here. A small shot of the home page of the group is below. So far, the project has been a success as the group has grown in size and people have already contacted me telling their own stories of QuarkNet. Hopefully the group will continue to grow and it can become a fully functional social network! The educational camp “Sensing the Cosmos” has been going on the past few days on campus. Elementary school students from across the South Bend area have come to Notre Dame to learn what they can about the universe beyond Earth. As would be expected, participating in a program like this involves the use of telescopes. A lot of telescopes. Many different kinds of telescopes. Telescopes that the students working at the NDQC are very familiar with. Throughout the week, the NDQC Astro group has been participating in a counselor’s role to these children. Yesterday, for example, the NDQC students led the elementary school students through the process of viewing the Sunsafely and by use of three different telescopes. One type of telescope, for example, was a solar filter. In a very basic sense, the solar filter removes all of the dangerous solar rays and enables the Sun to be looked straight at. 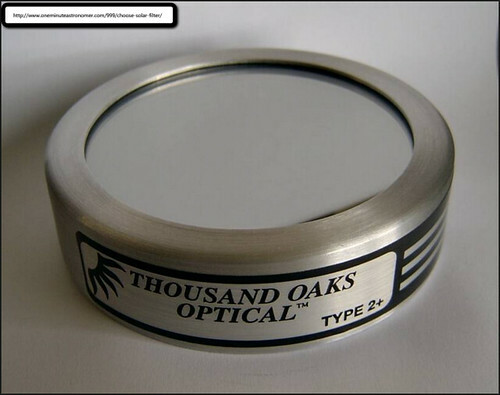 It kind of looks like a bowl with a mirror across the surface and is shown in the picture below. Small sun spots and solar flares can also be seen with this device. The NDQC students tried yesterday, through use of the solar filter and other telescopes, to instill a basic understanding of the components of the telescope into these students. Next week, high school students from China and Brazil will descend on NDQC aiming to learn a bit about particle physics. The students will learn what exactly goes on in the CMS detector during a collision and how to analyze the data plots that the collisions produce. Teachers and students who have already spent time analyzing some of these data plots will be helping to lead the seminar. They will attempt to walk the international students through it all the way that they learned it. 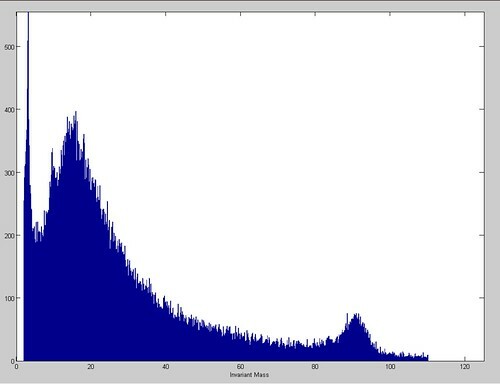 For example, one skill that will be learned is how to identify particles from their invariant masses on a histogram like the one in this blog. They will find things such as the Z boson or the j/psi meson. The graph below from CMS on the Science 2.0 website shows evidence of a j/psi particle at around 3.1 GeV which is the actual weight value of a j/psi. It is sure to be a great learning experience for these high school students and should help advance their knowledge in particle physics. At NDQC, there are two projects concerning the CMS collaboration at the LHC: CMS Upgrade and CMS Data. Both of those projects have enjoyed a long fifteen year relationship with the CMS. In an earlier blog I posted about one side of the relationship that NDQC has with CMS which is the manufacture of parts for the detector. The other side of that relationship is the connection with the CMS Data team at NDQC. 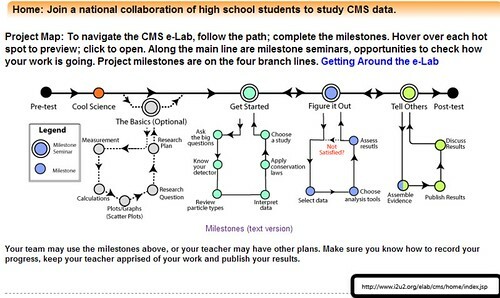 Students and teachers have received data from the CMS collaboration for as long as the CMS Upgrade has built parts for it. They take the real data and make real scientific observations that could have real impact in the scientific world. The Data group takes the data it receives and analyzes it using programs such as MATLAB. Students in this group have used the CMS e-Lab feature in the past to analyze data and learn about it as well. A screenshot of the e-Lab is below. The e-Lab walks a student through the scientific method to collect data and specifically CMS data. Just this week for example, the current group of students received one hundred thousand dielectron events from CMS. These events have only been viewed by the people who actually put them together. Other than that, the students and teachers at NDQC were the first people to ever lay their eyes on these data pieces and make observations. Already, the students have made a few observations on the dielectron data as seen by the graph below. For example, the graph identifies certain particles like the Z boson (about 91 GeV) by peaks in the graph. Through this strong relationship with the CMS collaboration, hopefully future students can be able to make observations and collect data as well. At one time or another, we have all “heard” our name called in public places when in reality no one was actually calling us. It can be a problem when we mistake something we actually hear or see with something else. When dealing with cosmic ray detectors, background noise can be an issue as well. At NDQC, one of the projects of the cosmic ray group is to count muon coincidences. 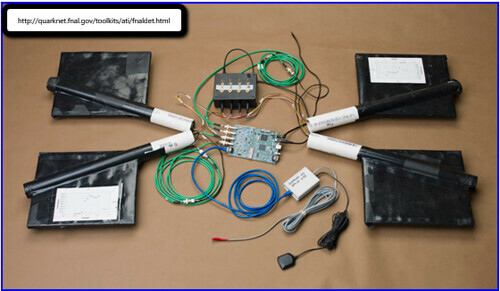 They do this by placing a few detector paddles on top of one another and attaching them to a photo multiplier tube (PMT). The muons are the only particle heavy enough to travel through all of the detectors on top of one another. Because of this, the noise can be eliminated as a muon because it won’t be detected by all of the paddles at the same time. The detectors will only make a count when the muon is detected by all of the paddles at the same time. One problem that may also come up is the possibility of accidentals. Two different muons may be counted as a muon coincidence if they happen close together in time. Those have to be eliminated from the count as well as the noise. For many people, myself included, what goes on at the LHC is at least a little beyond comprehension. At the Notre Dame Digital Visualization Theatre (DVT), students and teachers from the NDQC are trying to make the material a bit more accessible. They are in the process of putting together a full animated presentation explaining what each of the individual detectors does. To do this, they are using a Hollywood level animation program called LightWave. Last week, students and teachers both went through a three day training program in LightWave to provide some experience with the program. Sample training videos for LightWave are here. 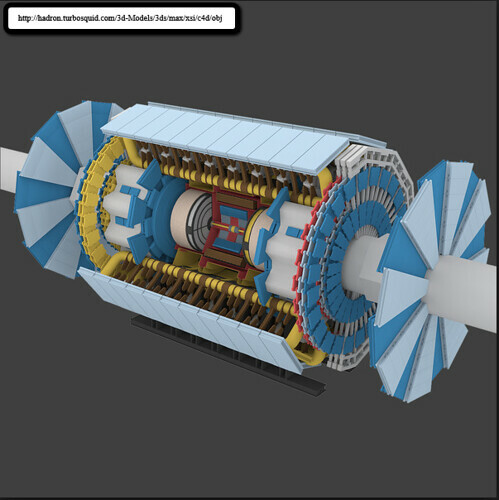 They have already been able to construct models (example below) of each of the four detectors of the LHC and are currently refining them. One other thing that they are doing currently is trying to rewrite scripts for the DVT operating system. They need to be able to work the program in a bit of a different way than it is generally used because they do not want the Sun to be the center of the universe for this presentation. Ideally, the Earth would be the center and they would have the ability to zoom right in on the LHC in Switzerland. Unfortunately, the presentation probably will not be completed by the end of this summer program at NDQC but the project will be continued after. Hopefully some time soon there will be a completed show ready for the public. The weather in South Bend this week has not lent itself well to outdoor sky observations. That has left the Astro group here at NDQC with a little less to do than they would like. They are, however, finding ways to learn during the day by observing online sky charts and such. They have been doing many different online activities ranging from observing live sky charts to playing online constellation matching games. 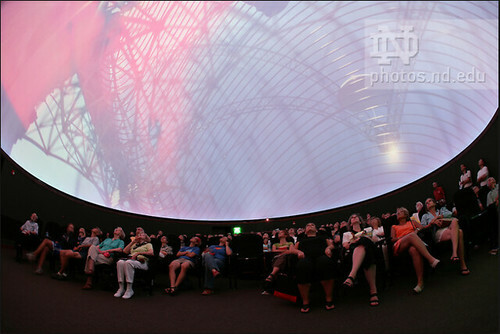 They also have been going to museums to learn various items about astronomy. 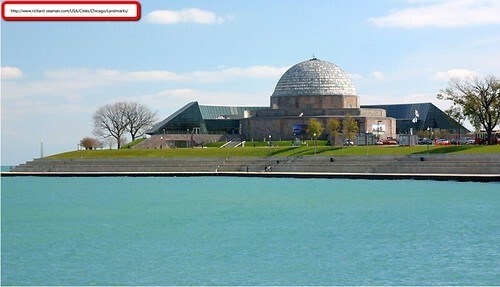 Last week they had the opportunity to go to the Adler Planetarium in Chicago (below) which was an extremely valuable experience. Despite the weather, this week has been an educational affair for the students and hopefully will enable them to be even better off when they are able to actually get outside. The weather is beginning to look a bit more promising for this group so hopefully they can get out there soon. A MASSive Discovery- But How Does It Affect Me? Last summer, physicists at the LHC at CERN believe they made a monumental discovery in the field of particle physics. They think they found the Higgs boson which has been sought after for almost the past 50 years. 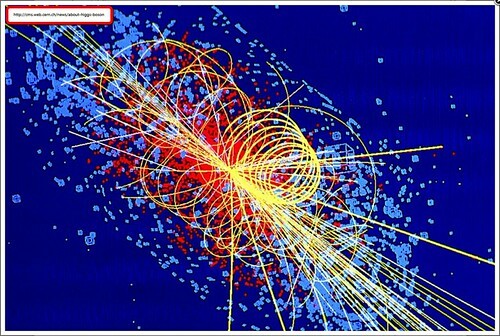 In simple terms, the Higgs explains why certain particles have mass and others do not. This remains a huge discovery for physicists but leaves a question for the general observer. What is the point of finding this particle in my own life? The truth is, at the moment, there are not any “real” life uses for this particle. As it has been with past particle physics discoveries, it may take decades before any real life meaning can come about. If this particle turns out to be the Higgs, it will take serious observation in the future to figure out how it can be used to make any big changes. Right now, it is just important that it has been found. The CMS Upgrade group here at NDQC is currently working on testing parts for an upgrade to the LHC CMS detector where the Higgs was discovered. Hopefully, some parts made by this group can be used to make the next big discovery.